It is our goal to make home buying and selling less stressful and guide our clients through the process. 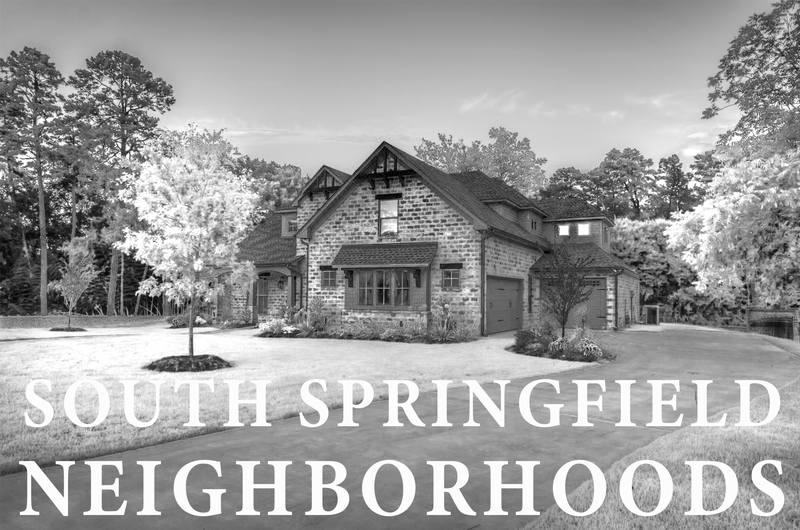 Knowing which part of the Springfield or surrounding areas you would like to live in as well as information about the neighborhoods and what it is like to live there is a great resource. Lexington Square is a new upscale community on the edge of Southeast Springfield on Evans Road. Developed by MGM Properties, Lexington Square features all custom homes built by MGM and their standard of quality. Olde Ivy is a neighborhood located in the southeast area of Springfield. The neighborhood is surrounded by trees and wooded areas and is a short distance from the Springfield Nature Center. Olde Ivy is located next to the farmer’s markets, restaurants, and shopping. Woodfield Park is a gated subdivision in Southwest Springfield with close access to the highway. Built by Brett homes, by owner Brett Godfrey, designed the homes in Woodfield Park. Each home is unique and is up to the National Association of Home Builders Green Building Standards.